Apple's conundrum: Market share vs. profit. Jay Yarow slams Apple’s incredible profits and small market share. John Gruber fires back with a slam on what he calls “the church of market share” and raises excellent issues. But in the battle between the church of market share and the cult of profit margins, I think we’re missing the real middle ground here—what do you do with the surplus? Apple’s great achievement is that they’ve designed a series of phones that customers value a great deal, which they can manufacture for much less than the value its customers place on the phones. That’s amazing work. But having done that amazing work on the product and operations side, the next question is, what do you do with that surplus? What Apple has been doing is turning the surplus into profits, and then turning the profits into cash on the balance sheet. But while the surplus was (and remains) and amazing achievement, the cash on the balance sheet that resulted from it was (and remains) pretty lame. Clearly something had to be done. But what? When you’re sitting on tens of billions of dollars, the sky is really the limit. But Apple CEO Tim Cook has mainly used the cash for dividends and share buybacks. That is a bit boring. And it’s especially disappointing because when they’re not in defensive mode, Apple fans are happy to acknowledge that not everything is perfect. Launching an independent mapping service was a necessary strategic move, for example, but Apple does not have the best mapping data in the world. Developers feel that iCloud has lots of problems. You can buy NBA League Pass Broadband to watch NBA games on your Apple TV, but the package doesn’t include playoff games because exclusive rights have been sold to TNT and ESPN. None of these are crippling flaws in the Apple ecosystem, but they are flaws. 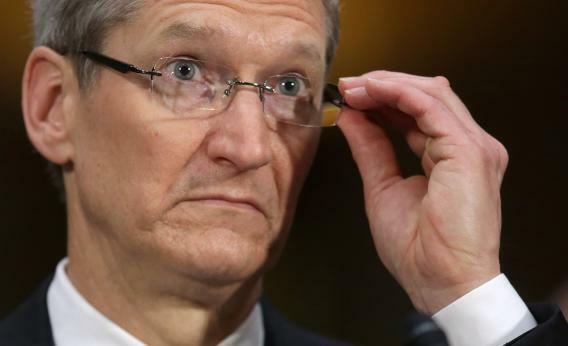 And as a customer, I’d rather see Apple address those flaws than give money to shareholders. What’s more, as a shareholder I’d rather see Apple address those flaws than give money to shareholders. Profits are great, but they should be used to do great things. Or look at the carrier experience. When the iPhone first launched, not only was the device cool but the carrier experience was a huge step forward over the dystopia that had previously existed. Apple used the appeal of the iPhone to form an exclusive relationship with AT&T that changed the terms of the relationship between the handset maker and the mobile network operator. But several years later, the carrier experience still isn’t what it should be. Apple could be innovating in this regard and demanding a better user experience for iPhone from Verizon and AT&T. But if Apple was more demanding, then iPhones would be less valuable to Verizon and AT&T and Apple might not be able to obtain such large carrier subsidies. Yet if you look at Apple’s profit margins you can see that they could actually get by just fine with smaller subsidies if that were the price that had to be paid to obtain a better experience. And, again, both as a customer and as a shareholder I’d rather see Apple turn that surplus into something obviously useful—a better experience for users of the product—than into a larger stack at Braeburn Capital or a larger dividend. High profit margins should be the beginning of a conversation, not the end.